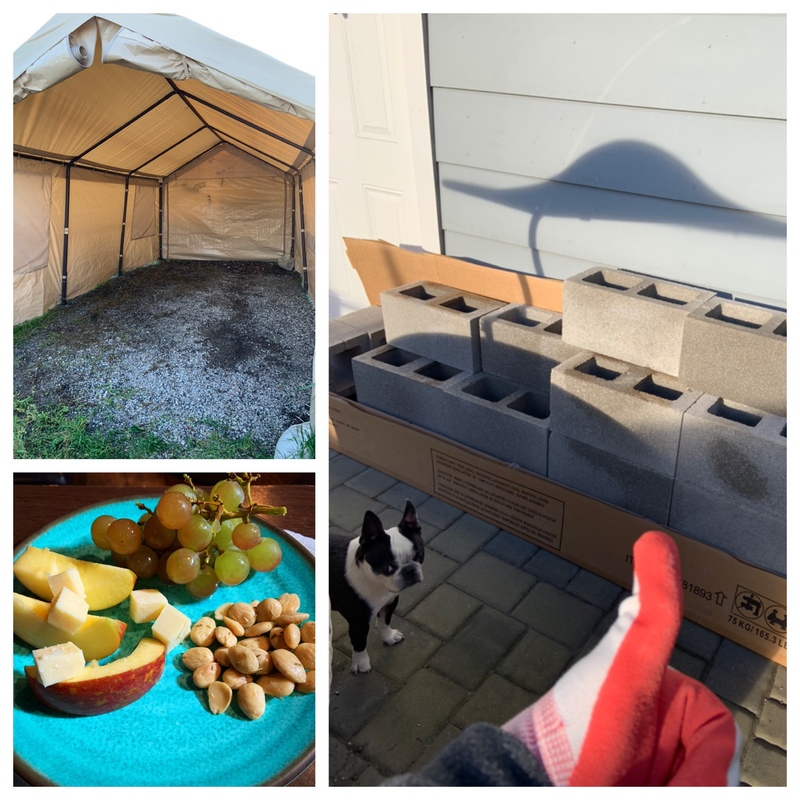 After a fantastic chiropractic adjustment, I felt energized and in need of sunshine—making it the perfect time to finish unloading home project supplies from our big trip to spend our winnings last weekend. When I finished hauling all 26 cinder blocks from our van and stacking them on cardboard inside our gated back yard, I felt strong and powerful. Paisley looked dubious (as you can see in the photo), but Mama was proud of my gold star work. A chill in the air sent my beloved girls back inside. But since the carport was empty, it was the perfect time to stake it down with recently acquired rebar. After I completed the laborious hammering, I weeded the area and reparked our van. This delicious array of muscat grapes, rosemary almonds, and apples with white cheddar was the perfect treat at the end. I made a plate for Mama and myself, which we enjoyed with a cup of chai. It was a deeply satisfying day. Today’s #OneGoodThing was feeling powerful! What was your #OneGoodThing today? Please share in the comments! Day 103 of 365. And Day 1,199 in a row (here’s the first 366, & the following 365, & the third year of 365 good things)! Crikey, you were definitely feeling powerful, those blocks are heavy! WOW! Glad you were feeling well enough to do all that. Hope it continues.